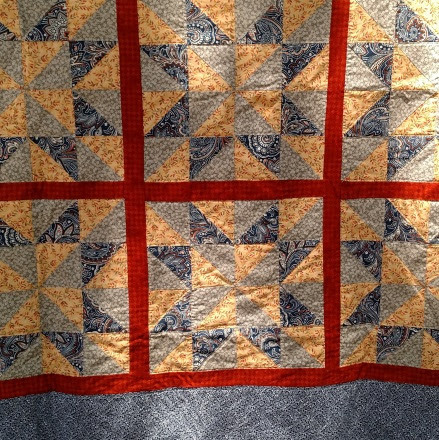 Beautiful quilts are an integral part of DuBois Center’s annual Fall Festival. Each year, lovingly crafted treasures are donated for the quilt drawing. Our first quilt of the season has been donated and it’s beautiful! This charming star pattern quilt is twin-sized (66″ x 86″), hand-pieced and quilted. It was created and donated by Sarah Moore, a member at Bethel UCC in Cahokia. This is Sarah’s second Fall Festival quilt. If you or your group would like to donate a quilt for this year’s drawing, contact Shirley at dcinfo@DuBoisCenter.org or 618-787-2202. Ideally, the second quilt would be queen-sized. Thanks for your support! Kid – focused! Faith-filled! Safety-conscious! Young at heart! If these characteristics describe you, please consider sharing your gifts and talents at DuBois Center this summer. Volunteer cabin counselors work hand in hand with summer staff members to guide small groups of campers. In doing so, they touch lives and make a real difference. We are currently recruiting volunteer counselors for three and six-day sessions. Contact the DuBois Center office at 618-787-2202 or dcinfo@DuBoisCenter.org. 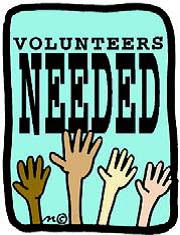 Volunteer applications are available here. Finch, Sparkle, Pastor Skippy, Kayak, Nurse Bandit, El Padre, Banana, Squeak, Shark Bait – What’s with all the weird names? Since 2011, “camp names” have been the norm for summer staff and volunteers at DuBois Center. Some are silly and pulled from… who knows where. Others have stories and traditions behind them. Banana (Daisy Mercer) was first introduced to a new way to open bananas during summer staff training. To avoid inhaling pollen and dust, Nurse Bandit wears a bandana over her nose and mouth when driving around camp on a Gator. Pastor Skippy, who loves peanut butter, has been a camp chaplain for decades at a variety of different camps and his name has traveled with him. It’s a tradition! We use “camp names” during the summer at DuBois Center because they are FUN, and because sometimes there are just too many Ryans and Merediths running around. Real names are shared on the last day of each session and they are listed on the sign-out sheets when parents pick up their children at the end of a camp. If a counselor senses that a parent is nervous about not knowing their “real name,” the leader might take them aside and share that detail in advance. What’s in a name – a lot of silliness! After traveling hundreds of miles, members of the DuBois Center equestrian team found a horse that seems to be a perfect fit for our program. They are excited to introduce the newest member of the DuBois Center herd – Lexi! 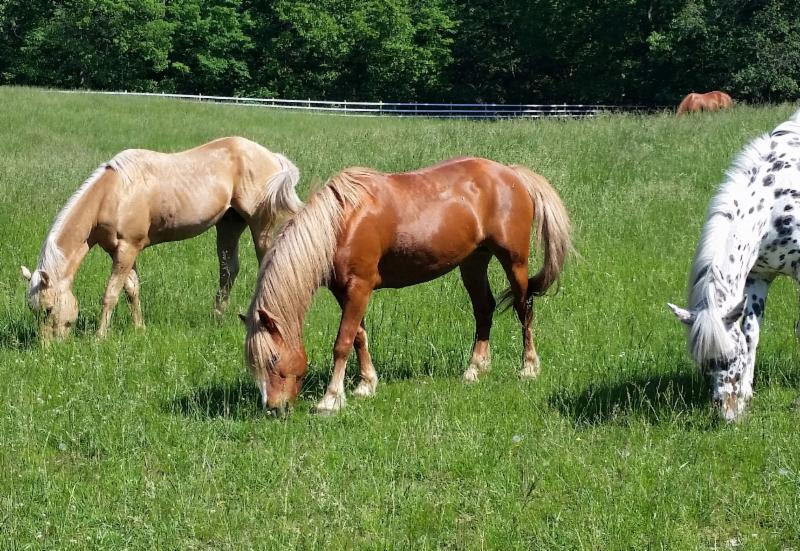 She is a seven year-old Haflinger who stands 14 hands tall. 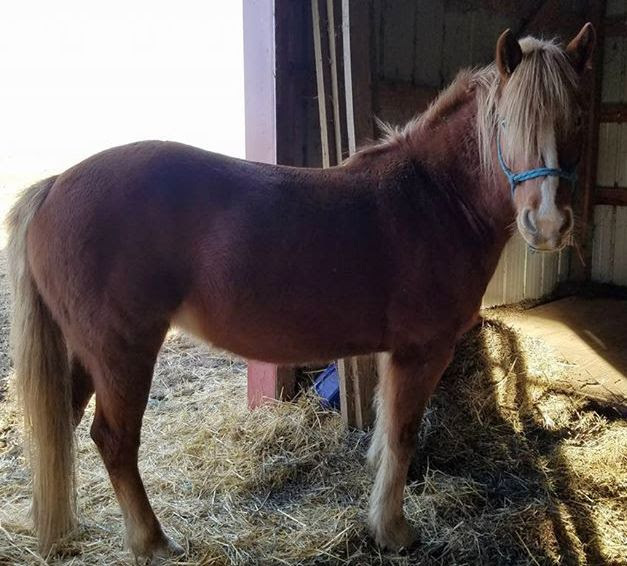 She is shorter than many of our horses, but very sturdy, which makes her an ideal ride for a variety of campers and guests. Volunteers spent the last two weekends working with her in preparation for summer – introducing her to the herd, riding the trails and getting her settled in the Deer Run pasture for a week with her new friends. By all accounts, Lexi is a gentle, easy-going horse who is quick to make new friends. She already seems like “just one of the herd” – which is often not the case initially for new horses. NOTE: After recent retirements, the equestrian team is still looking for one more “perfect fit” to round out the herd. If you have any recommendations, contact Scott Kuether at sekuether21@gmail.com. Join Us for Sunday Welcome Team! Each Sunday of our five weeks of camp, scores of UCC campers will arrive at DuBois Center eager and excited to begin their time at camp. A minimum of 12 volunteers each of these Sundays (plus summer staff) are needed to make the check-in process run smoothly! Volunteers assist with greetings, parking, the camp store, registration, health screenings, dock duty and people-moving. They arrive by 1:15 pm and are done by 4 pm. 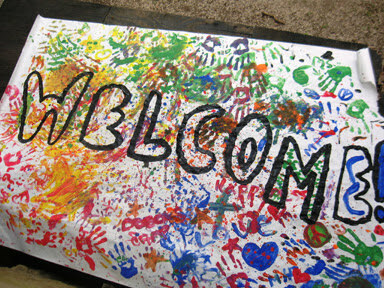 Please consider joining our Sunday Welcome Team on one or more check-in days. Check-in days this year are June 11 and 25, and July 9, 16 and 23. You are invited to wear a church t-shirt and show your spirit. Even consider bringing a team from your church! Let us know in advance when you can help – contact the DuBois office at dcinfo@duboiscenter.org or 618-787-2202. Welcome Kalaba Kapunda to the 2017 summer staff team! 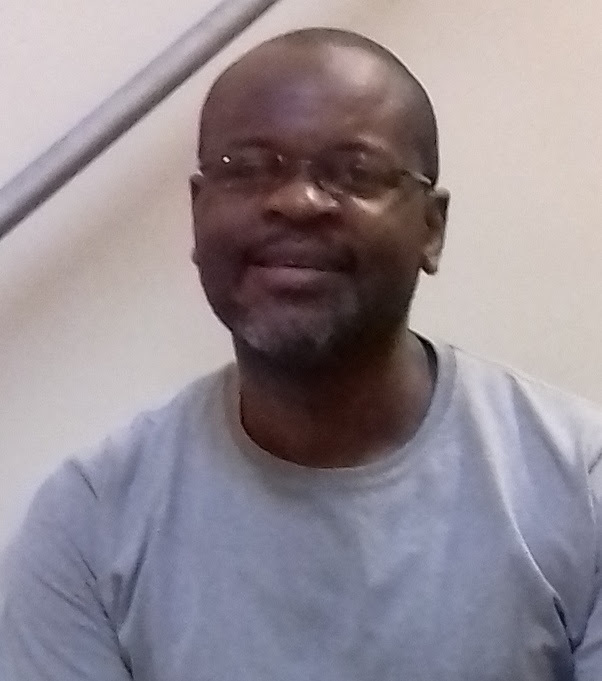 Originally from Kitwe, Zambia, Kalaba lived in South Africa for the last nine years and is now a student at Eden Theological Seminary. After a successful career in community development in the private and non-profit sectors, he felt a call to ordained ministry. That call led him to study for his Masters of Divinity at Eden. Back home, Kalaba was actively involved in his home church – Jerusalem United Methodist Church. Through his church and other organizations, he has facilitated youth groups, served as a soccer coach and worked as the youth choir director at an orphanage. Kalaba also did a short stint as a high school teacher – one of the options for mandatory government service. He is the father of his three young sons (seven, four and two years old). His family will be joining him at Eden in the fall. There’s Still Time to Sign Up for Horse Camp! Our Horse Camps are filling quickly, but there are still great options for most age groups. Some mornings, it’s up and at ’em long before chow time – the horses need to be fed and groomed before breakfast. Some evenings, it’s untacking, feeding and barn chores before evening games. As long as the weather allows, horse campers have the option to ride each day! They spend more time with the ponies, but still have time for other camp favorites such as swimming, 9-Square and crafts. Younger campers can hop aboard the Pony Express for an introduction to horse camp. Older campers can choose from a variety of sessions. Ready to register online? Click here. 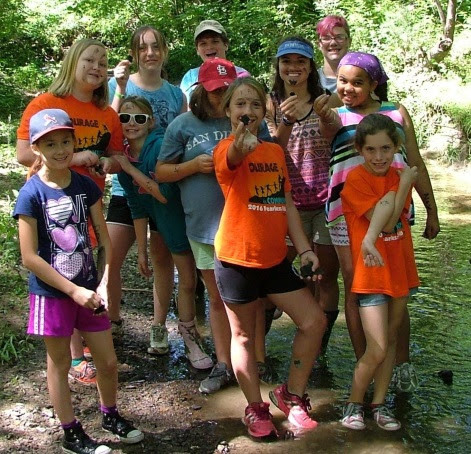 For more information, check out the camp brochure online or contact DuBois Center at dcinfo@DuBoisCenter.org or 618-787-2202 to have one sent to you. 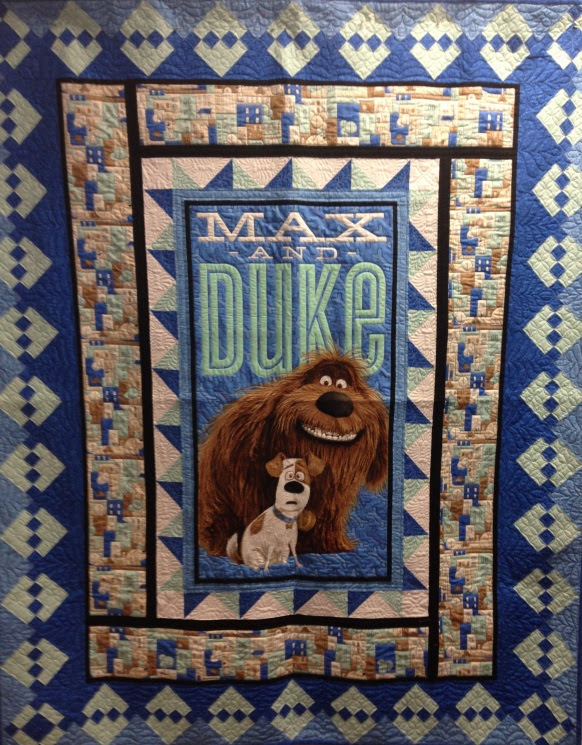 Remember the super cute “Max & Duke” quilt? The Happy Quilters of St. John UCC in Mascoutah raised $2,003 toting it from church to church and selling tickets this spring. St. John UCC matched the amount raised dollar for dollar, bringing the total donation to $4,006. AMAZING! Thanks so much to Kay, Nancy, Marion, Treva, Muriel and Beth for all their hard work and to St. John UCC for their support. Ticket sales wrapped up at the church’s annual Quilt Show in April, which was again quite the event with over 200 quilts on display and activities for novice and skilled quilters alike. The lucky winner was Michael Engelman of Mascoutah. The big winner was DuBois Center. In the story of the vine and the branches, we learn that we have two responsibilities: staying connected to the vine and bearing fruit. Join us this summer as we discover ways to do both! With daily scriptures to guide us, we will explore the vineyard and ways to experience God’s love as we grow as branches. We’ll practice seeing with our hearts, listening for God and reconnecting with Jesus, ourselves and friends at camp. It will be a grand adventure, grounded by deep roots and braced by our strong vine – Jesus Christ. Welcome Laura Renken to the 2017 summer staff team! Laura hails from Hamel, Illinois and is a member of Salem UCC in Alhambra, where she sings in the praise team choir. She has also served as a Vacation Bible School volunteer for at least the last 5 years. Laura attended summer camp at DuBois Center for a number of years. She completed our Counselors in Training (CIT) Program in 2014 and last summer volunteered as a cabin counselor. 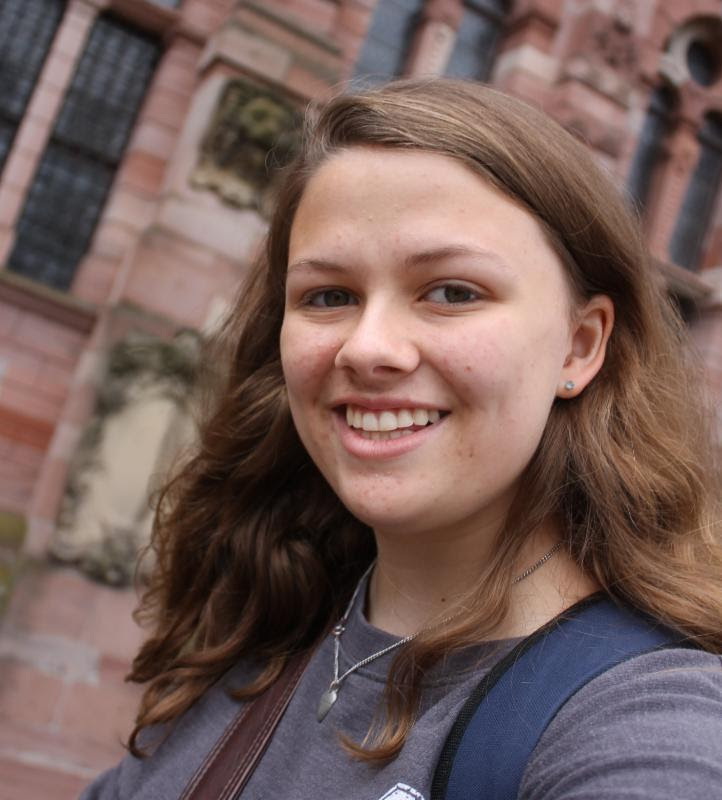 When not at camp, Laura is student at Eastern Illinois University where she is studying elementary education. She also works at the front desk of her dorm. Her favorites include: smell – spearmint, color – sky blue, food – tacos, and she loves to sing.